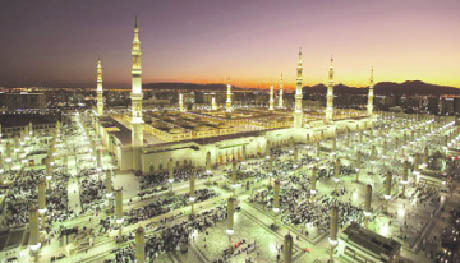 Arab News: Nearly 470 mosques have been prepared for the Eid Al-Adha prayer, Saudi Arabia’s Ministry of Islamic Affairs, Daawah and Guidance in Madinah announced. Sheikh Fahad bin Sulaiman al-Tuwaijri, Director-General of the ministry in Madinah, said that 469 mosques and places of prayer had been equipped, both in Madinah and elsewhere. The Eid Al-Adha prayer will be at 6:13a.m., state news agency SPA reported.